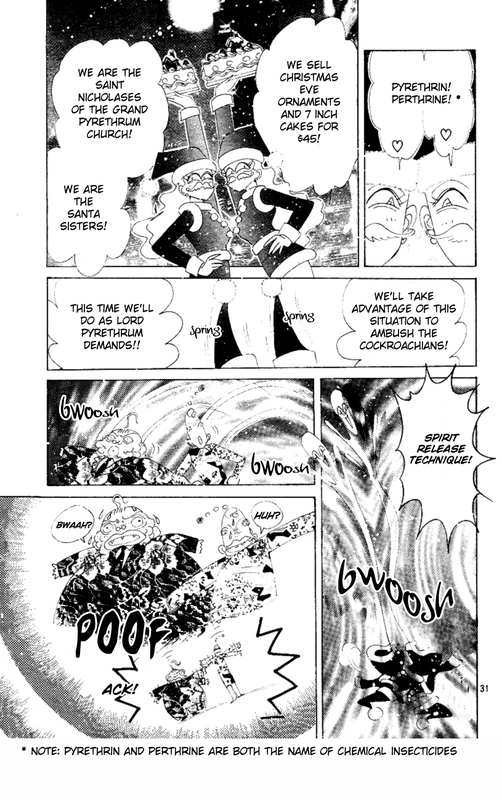 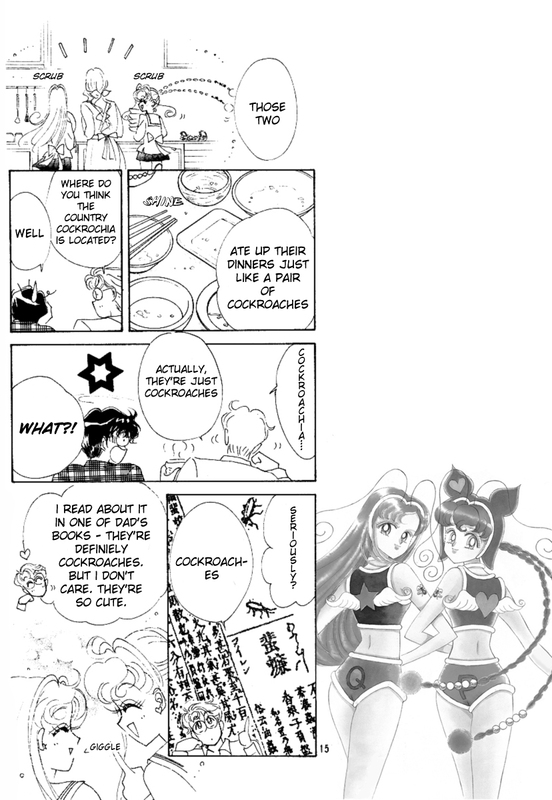 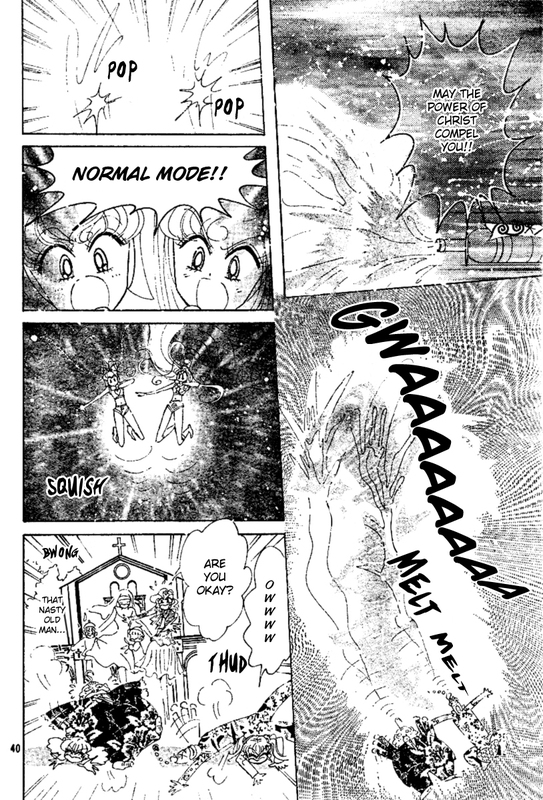 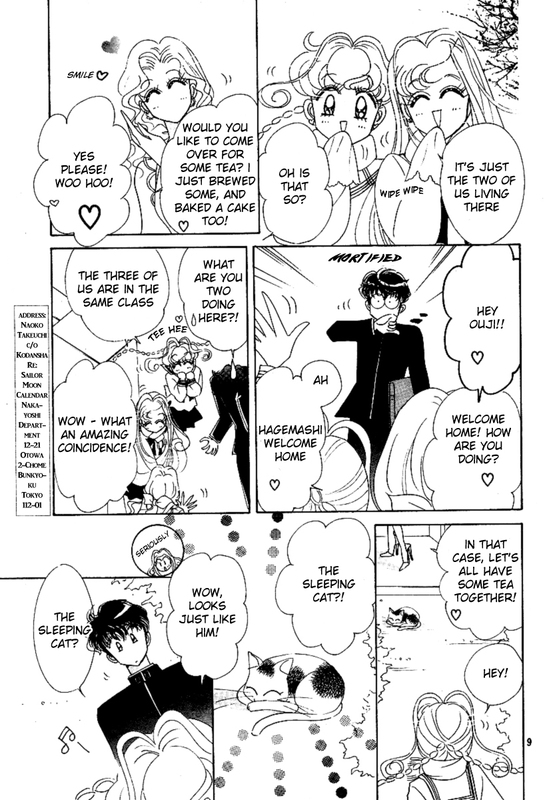 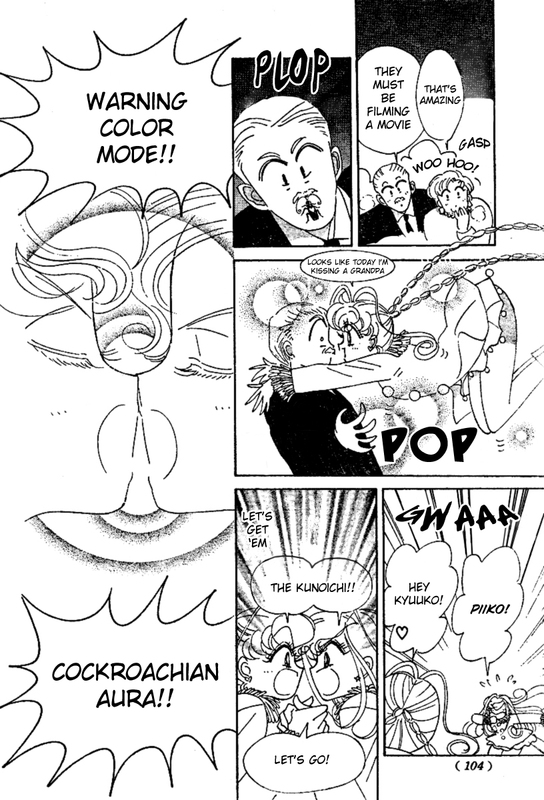 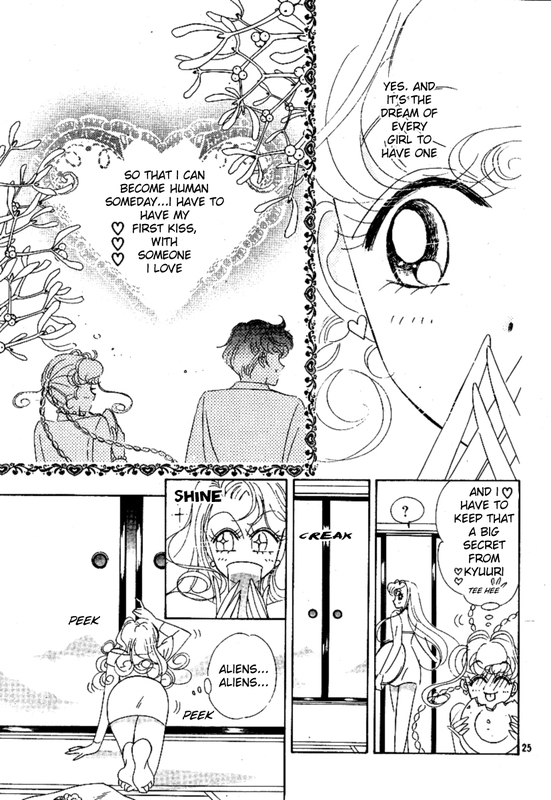 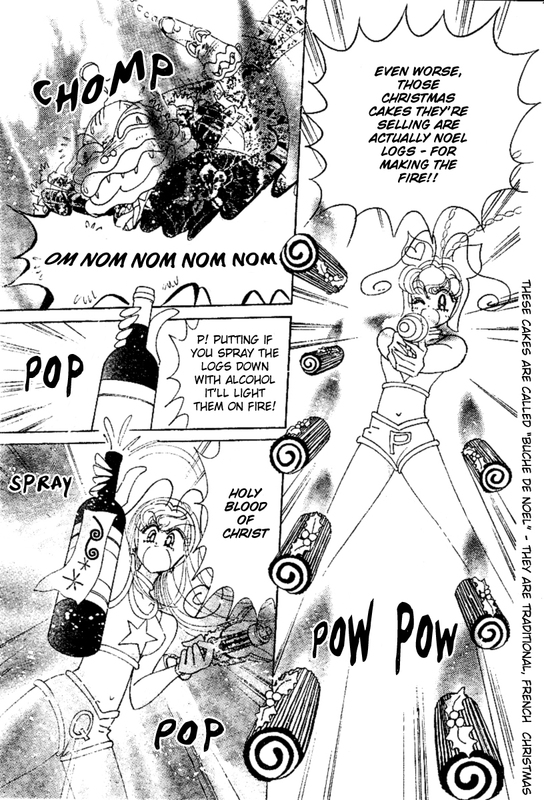 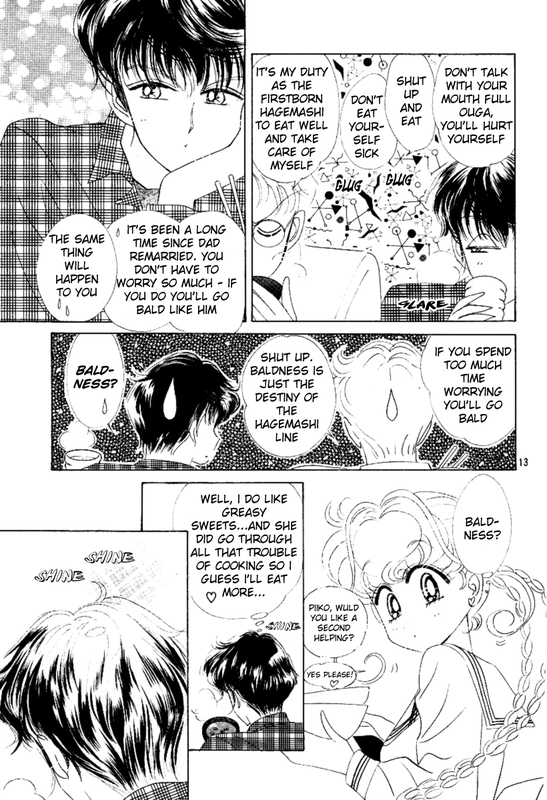 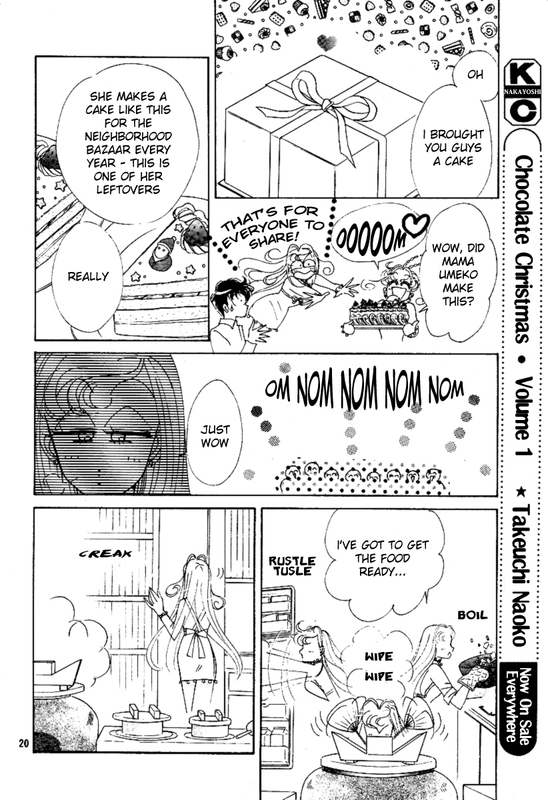 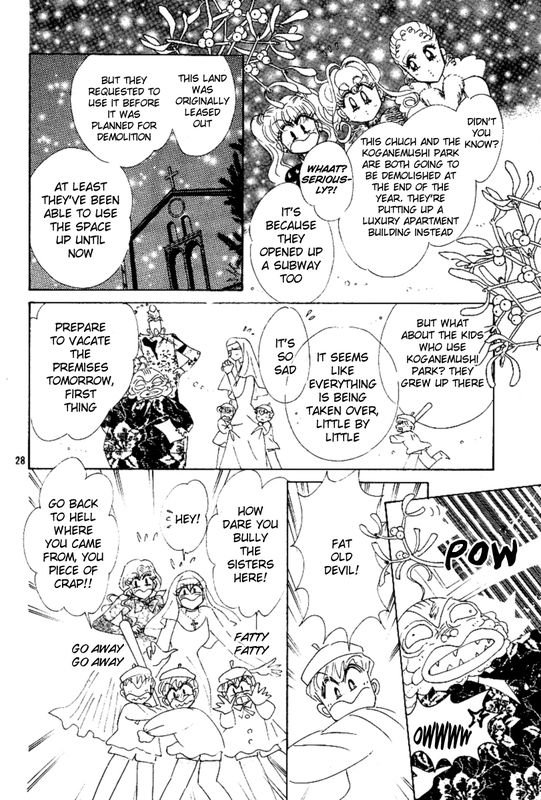 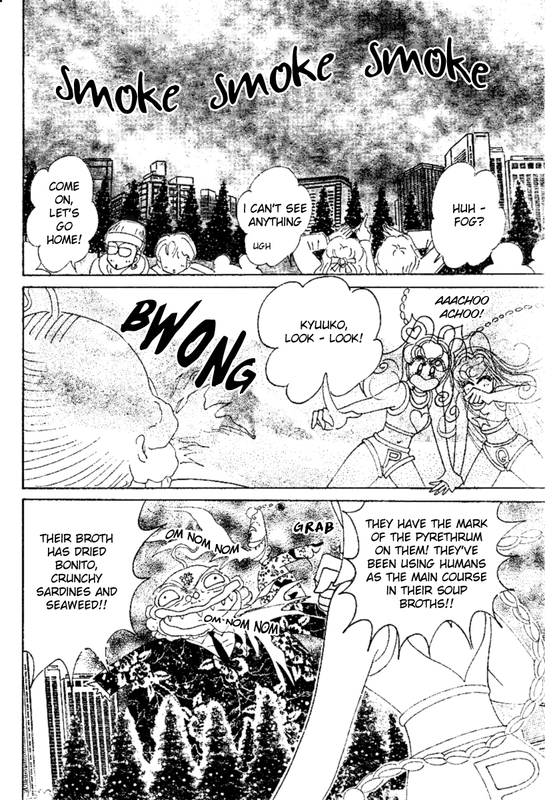 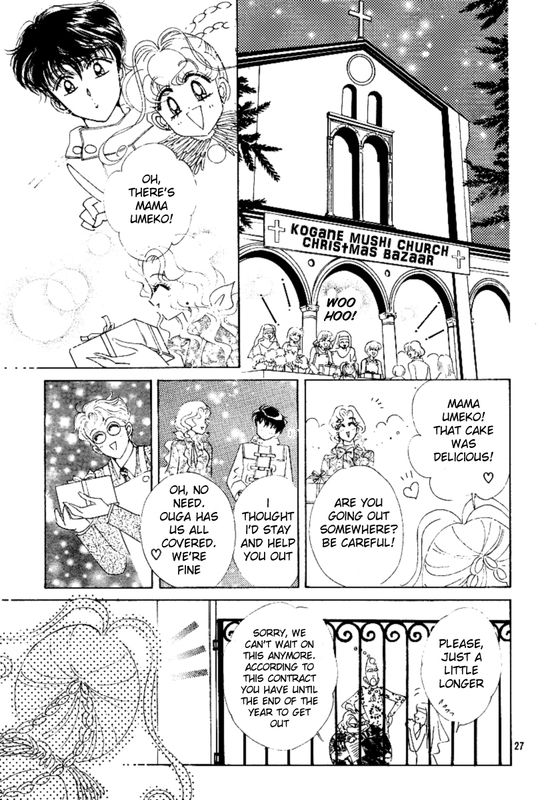 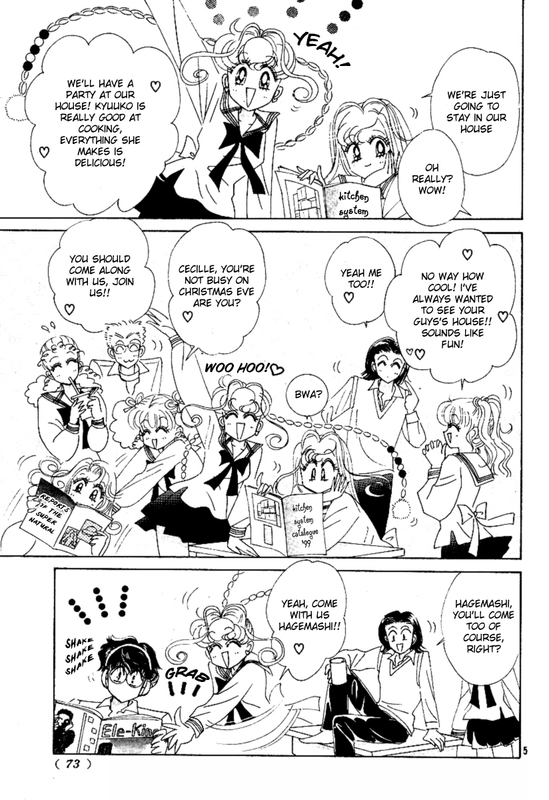 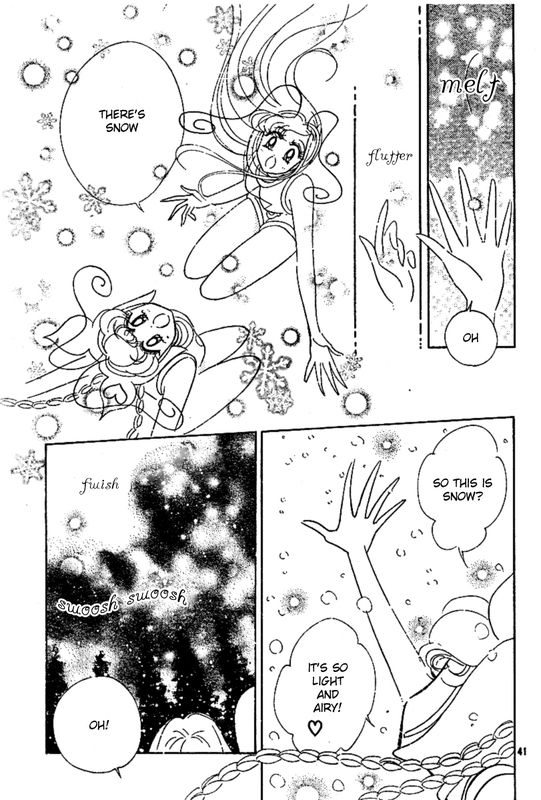 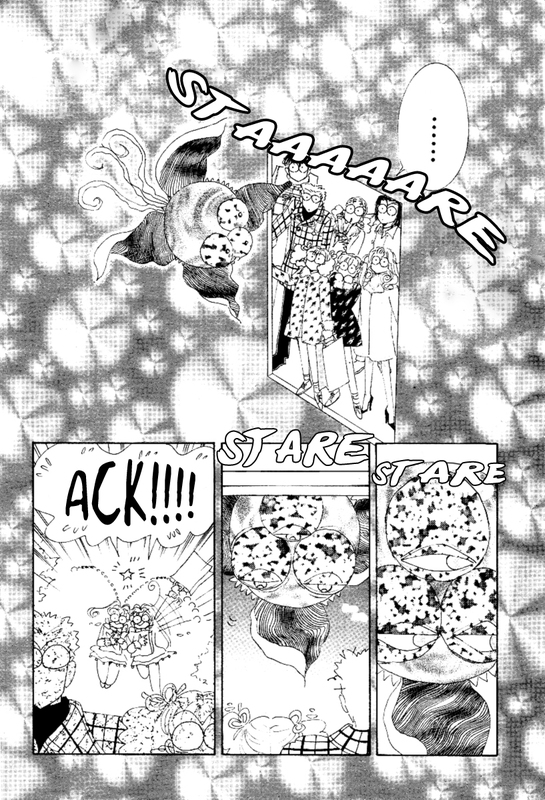 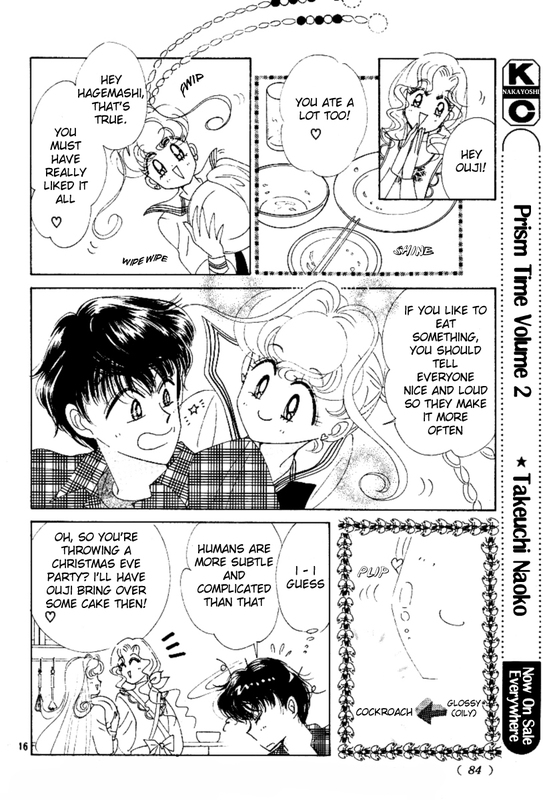 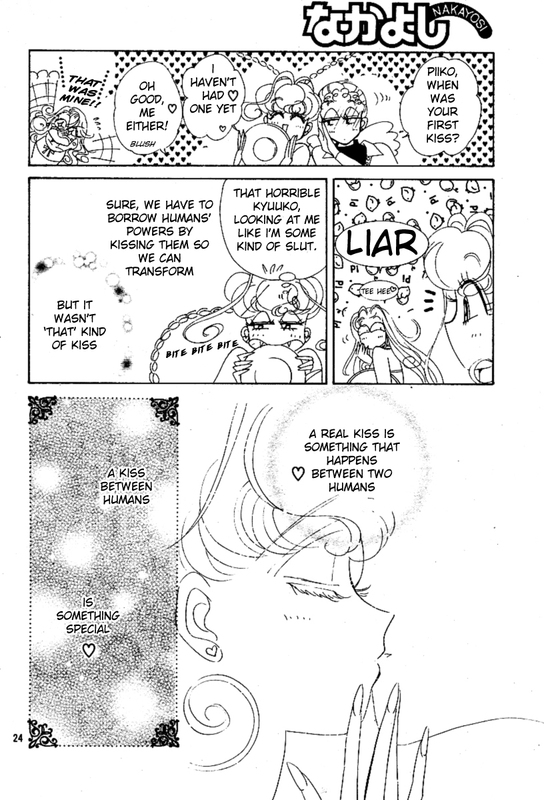 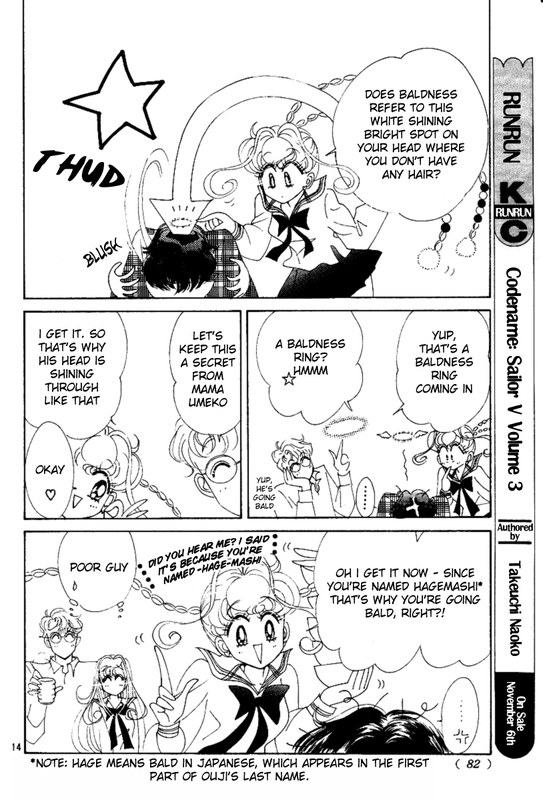 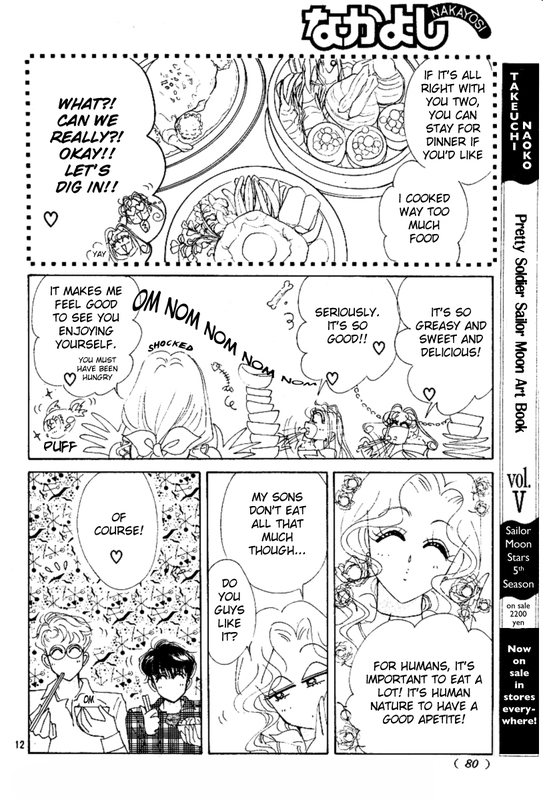 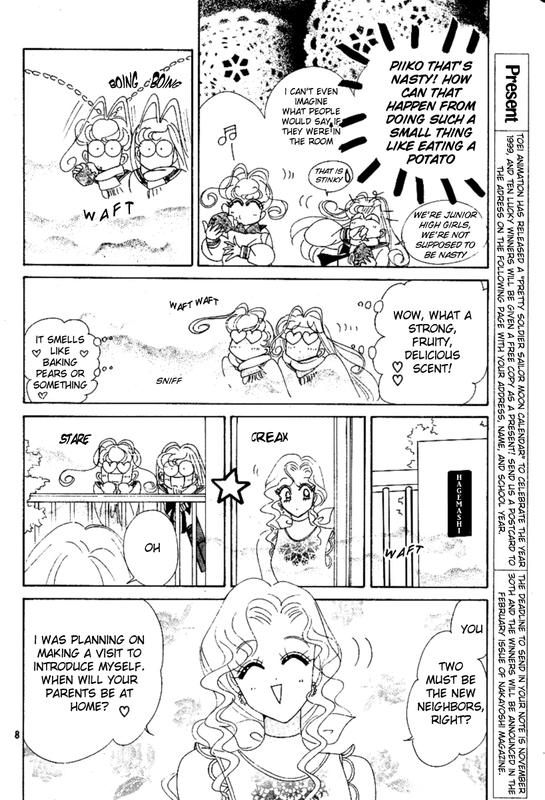 This is an English translation, or scanlation of PQ Angels chapter 4 by Naoko Takeuchi. 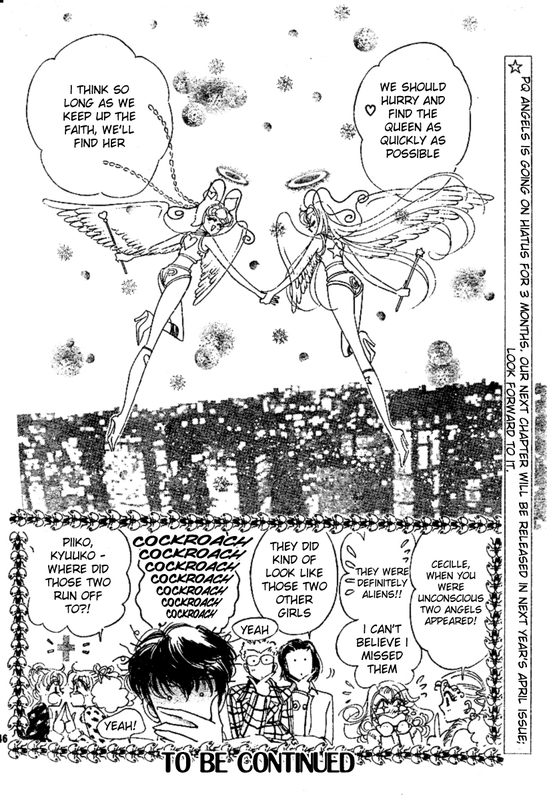 PQ Angels follows the story of P-ko and Q-ko, two aliens from the planet Cockroachian who are cockroaches in their normal form, but transform into pretty girls when they kiss someone on the mouth. 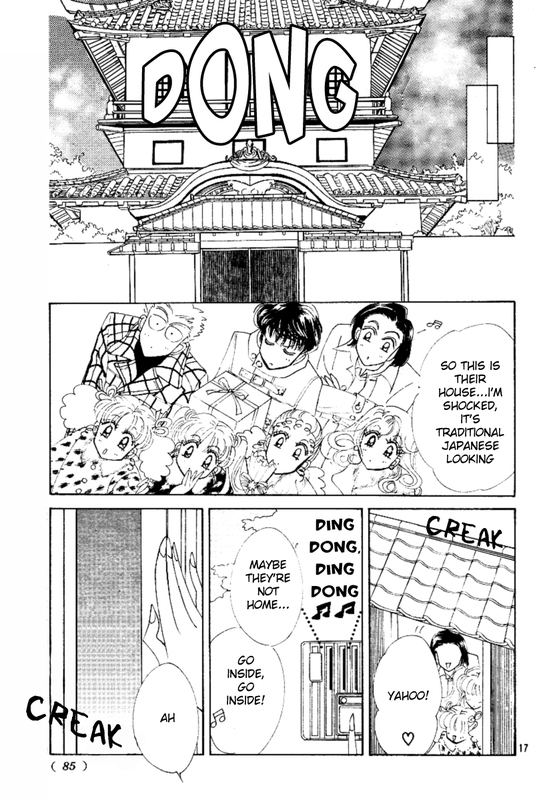 In this chapter, P-ko and Q-ko end up volunteering at a Catholic orphanage during the Christmas holidays, in between spending time with Hagemashi and his family. 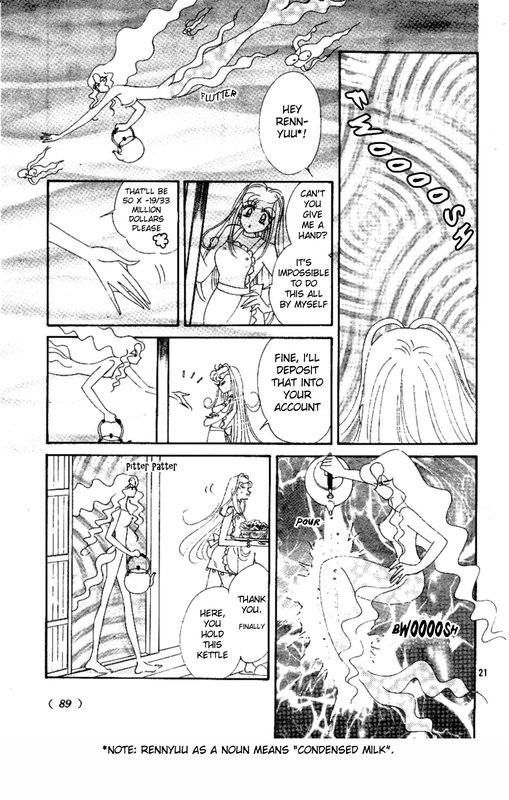 They end up transforming into angels, terrifying the locals. 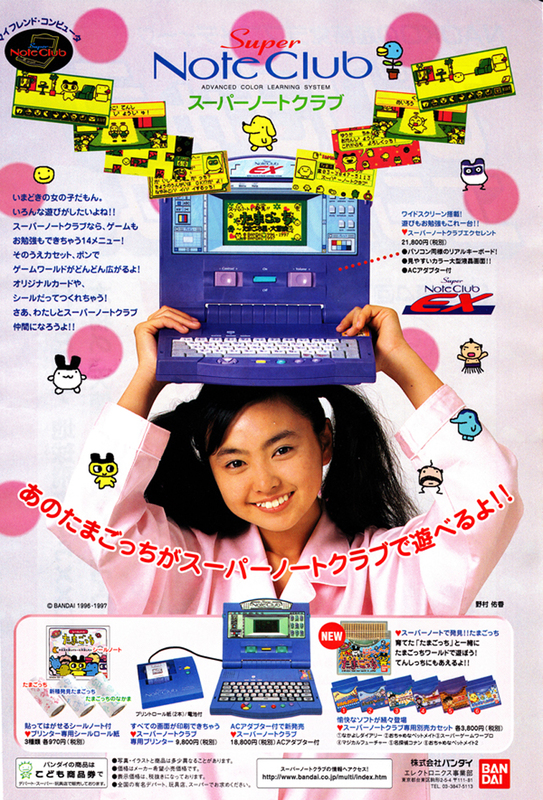 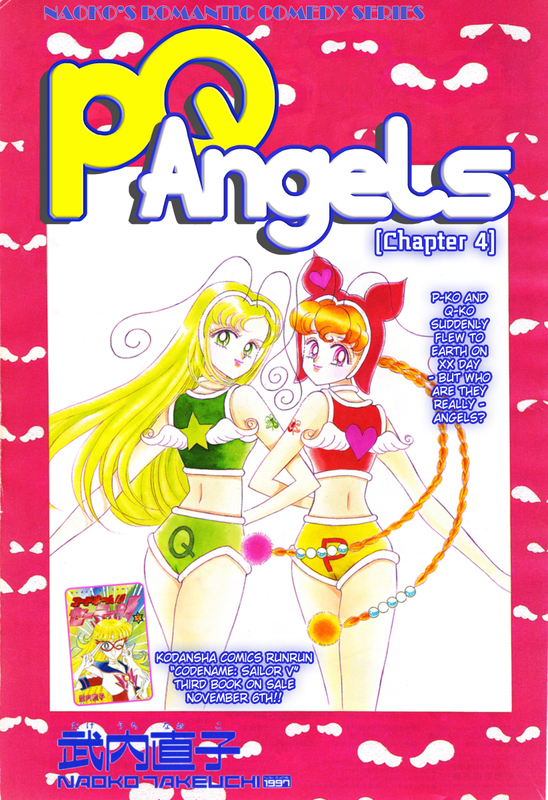 PQ Angels was originally published between September 1997 through December of 1997. 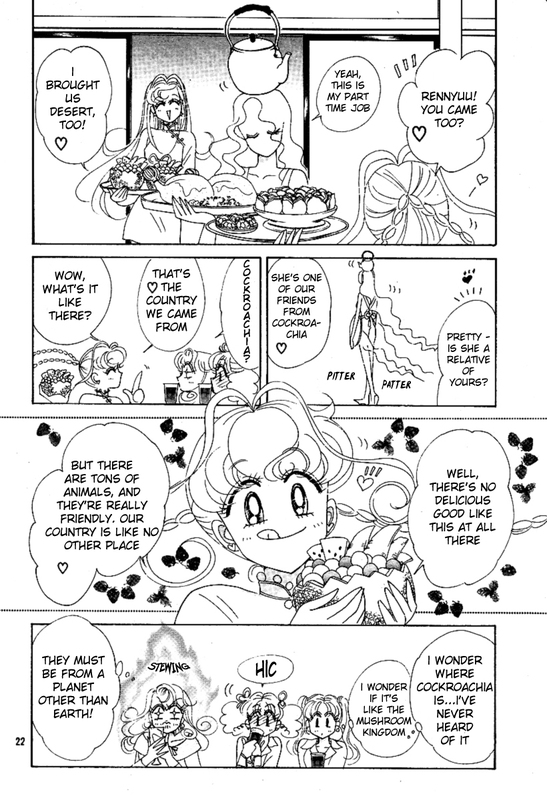 It was the first major series that Naoko Takeuchi launched after finishing all of Sailor Moon. 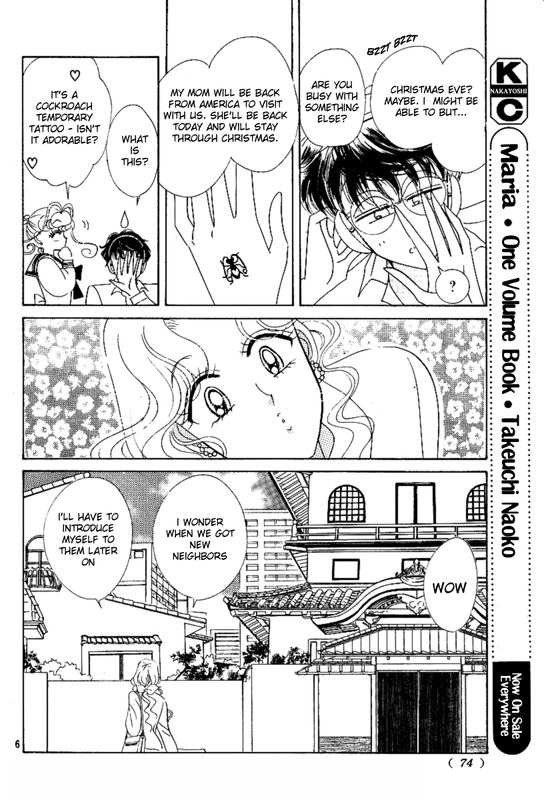 Unfortunately, Kodansha LTD, the company which publishes Nakayoshi magazine in which this series was first serialized, lost some of Naoko Takeuchi’s manuscripts during production. 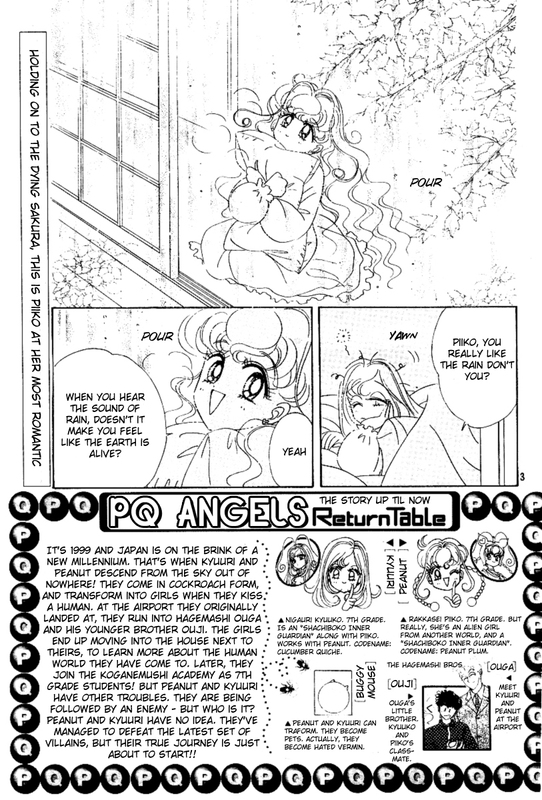 As a result, PQ Angels ended after only four chapters, with no conclusion to the story ever made. 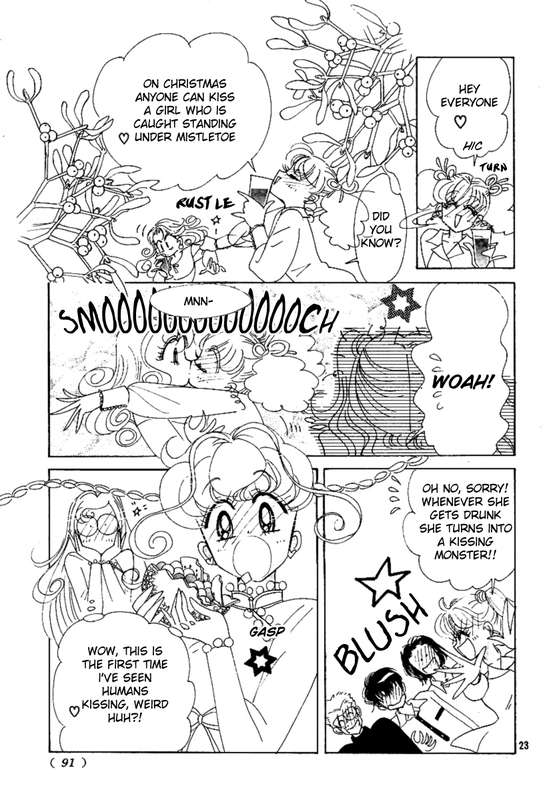 The split between Naoko Takeuchi and Kodansha LTD over this problem became so severe that for a period of several years, Naoko Takeuchi discontinued releasing her work through the company, instead publishing through her husband’s parent company Shueisha instead. 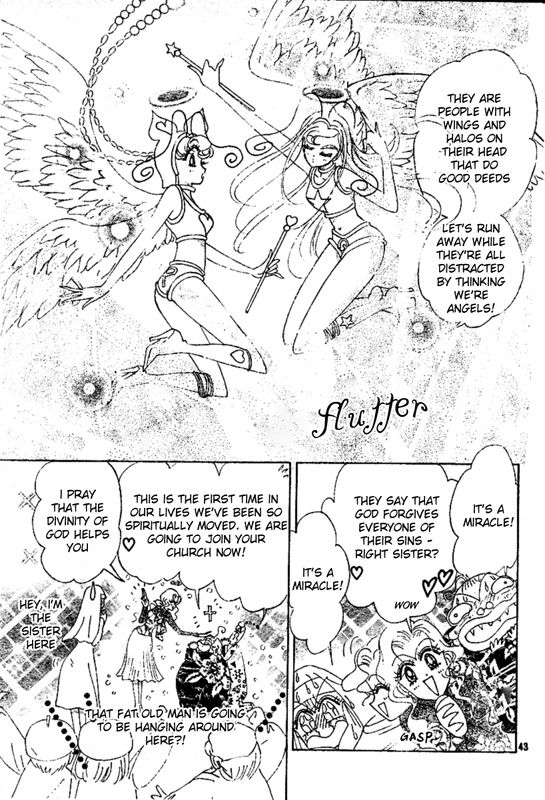 Because of this, PQ Angels chapter 4 was never released in tankoubon or book format, and so it is incredibly difficult to find. 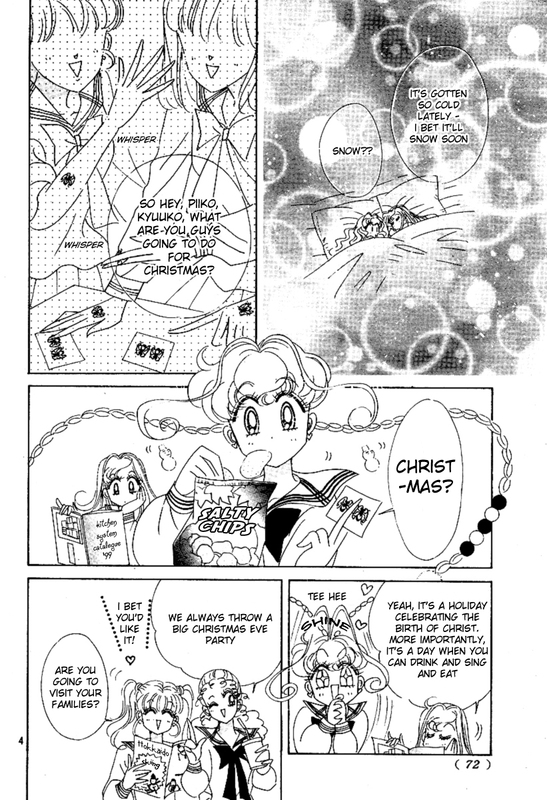 In order to find these chapters, you have to own the individual chapters of Nakayoshi magazine from 1997 in which these were first printed. 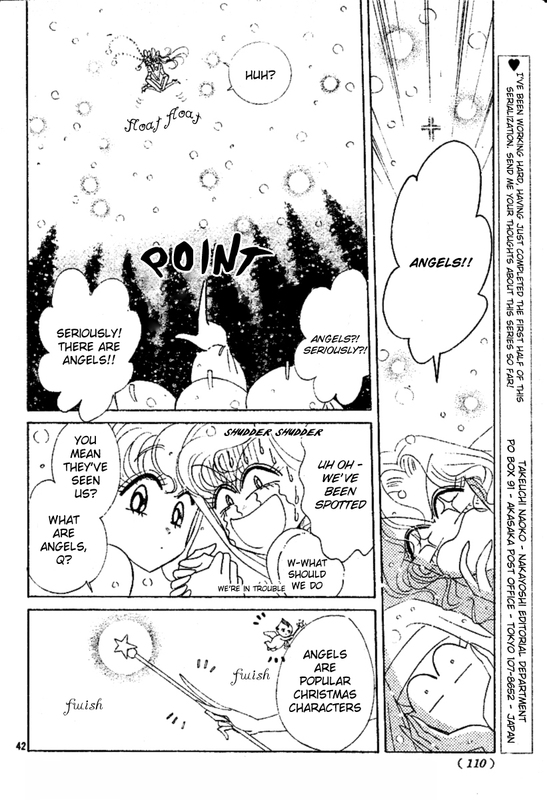 Since Nakayoshi magazine is a Japanese periodical, it is very difficult to find in America, and so this is the only English language site to offer both Japanese downloads of this story and full English translations of PQ Angels Chapter 4 by Naoko Takeuchi. 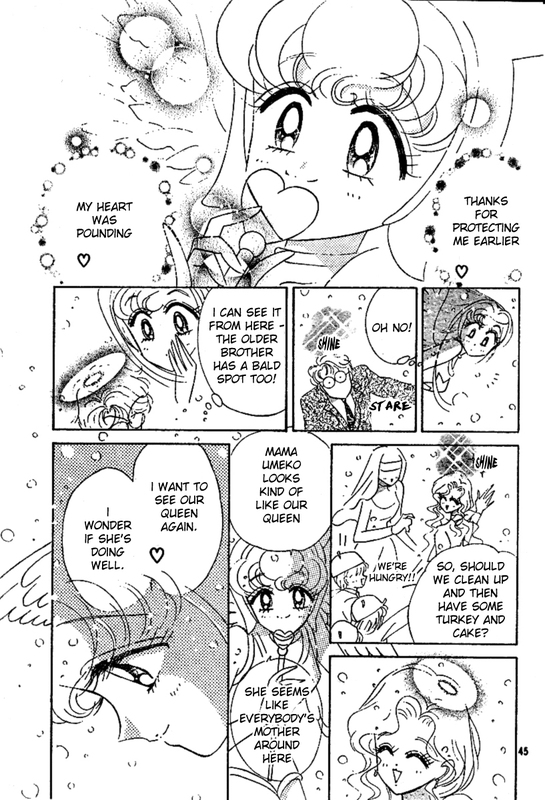 Here at Miss Dream you can read PQ Angels chapter 4 by Naoko Takeuchi online for free. 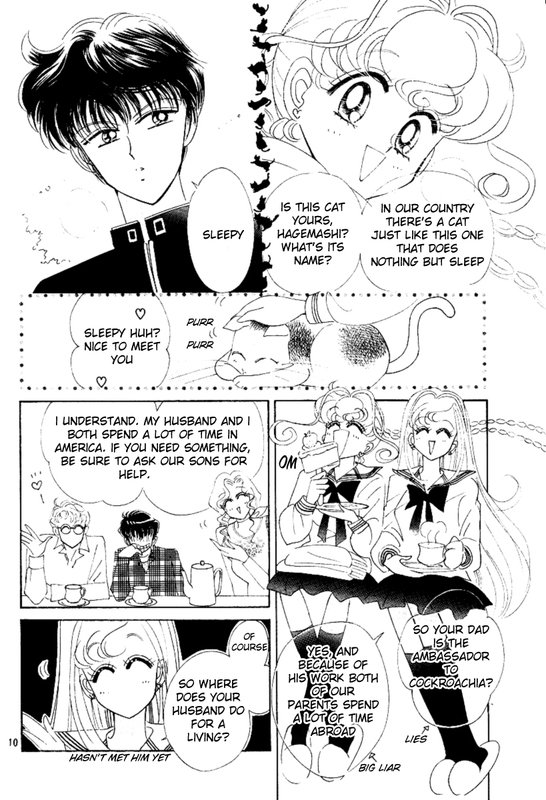 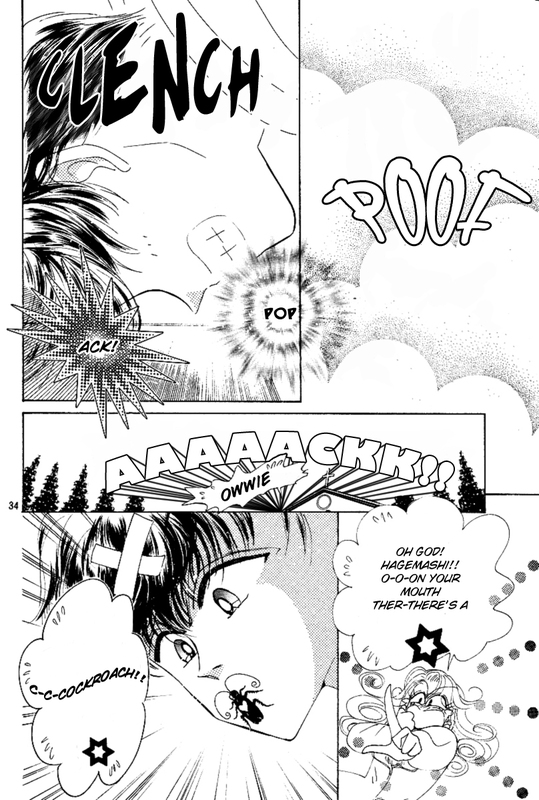 Full English translation scanlations of PQ Angels chapter 4 by Naoko Takeuchi available for free download or reading.